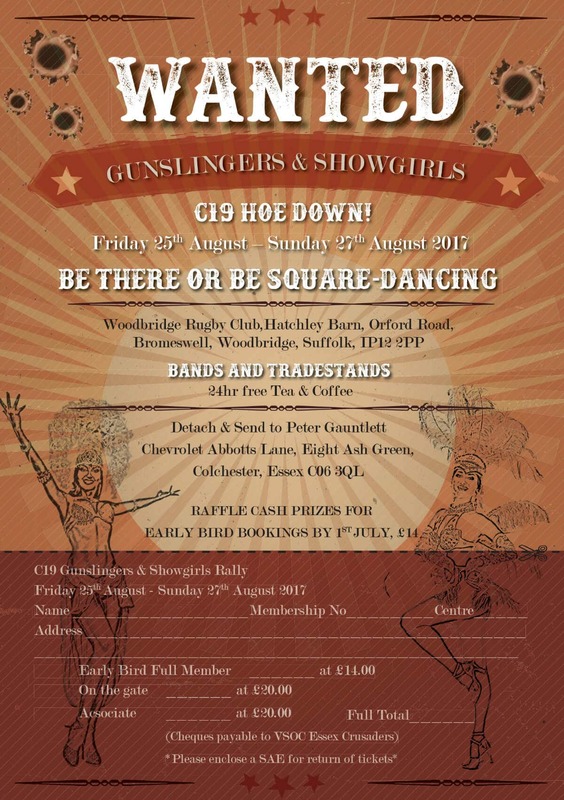 The Theme for Saturday night is: Gunslingers and Showgirls. 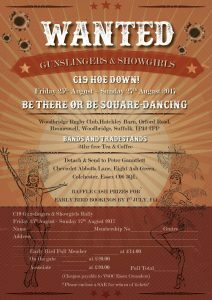 Hatchley Barn, Orford Road, Bromeswell, Woodbridge, Suffolk, IP12 2PP. From north or south A12 take the A1152 signed Orford. Follow this road over the Melton crossroads traffic lights and continue over a level crossing. You will pass the Wilford Bridge pub on the left, at the next roundabout turn left keeping on the A1152 for Orford. You will pass the Unruly Pig restaurant on your left and go straight on at a left fork. The ground is approximately a 1/4 mile further on the right. Any camper vans (limited) to notify the Centre Rep as this is on a first come first served basis.